SB Acoustics SB15MFC30-8 5" MidWoofer is an excellent new SB Acoustics Ferrite magnet 8ohm midwoofer, featuring a high efficiency low damping rubber surround. 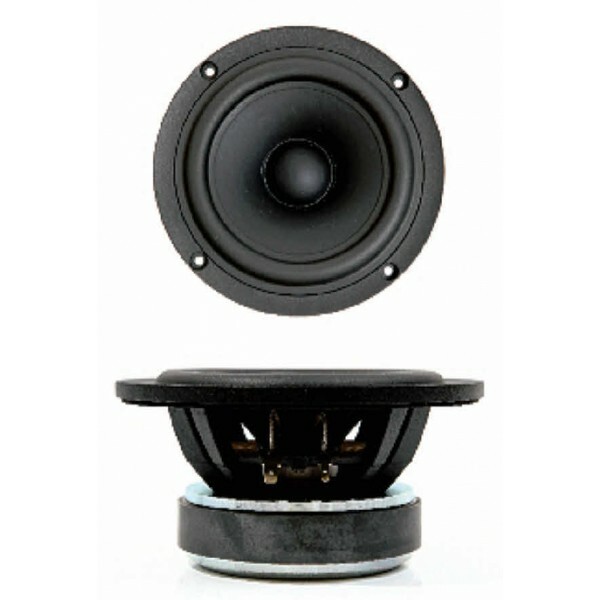 Fitted with a proprietary mineral filled polypropylene cone, 1.2" voice coil. Very open cast frame for minimal reflections. Silver Lead wires, CCAW coil to minimise mms. FIbreglass voice coil former, vented pole piece, Fs 39Hz, excellent level midrange response, a very flexible unit. For an 4 ohm version, see SB15MFC30-4.